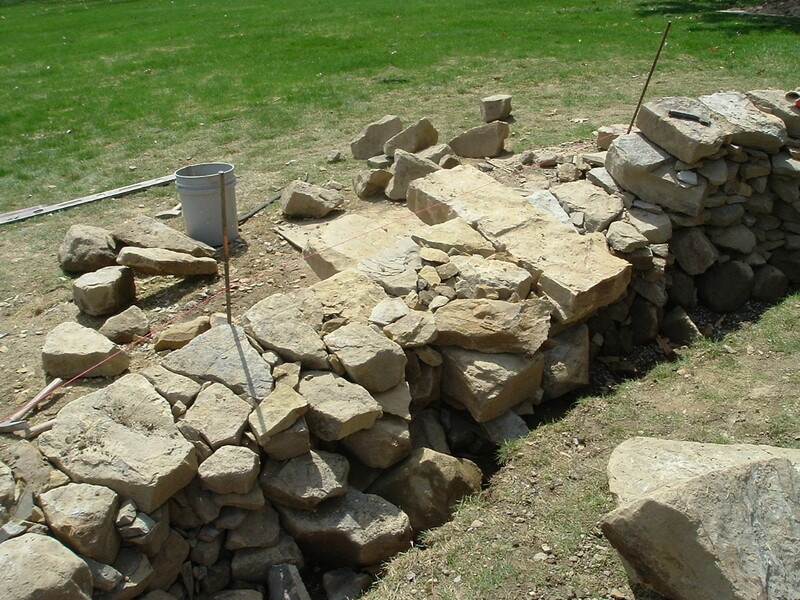 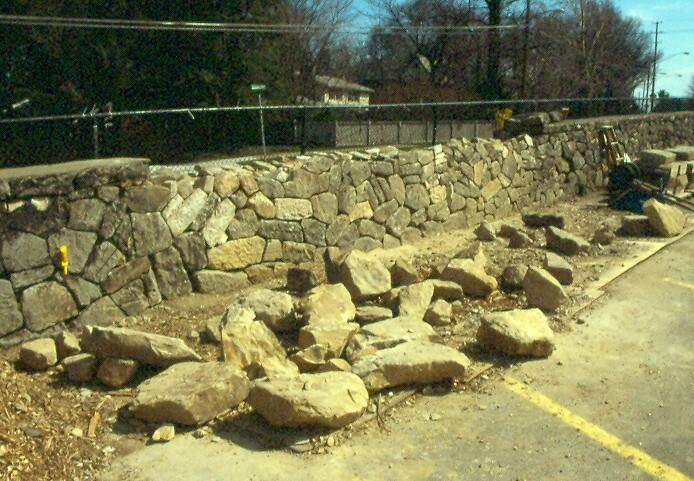 Dry stone masonry is one of the oldest forms of masonry construction; it is mortarless stonemasonry, hence the word "dry." 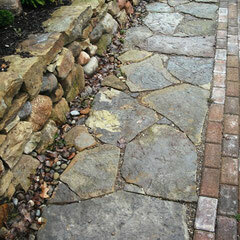 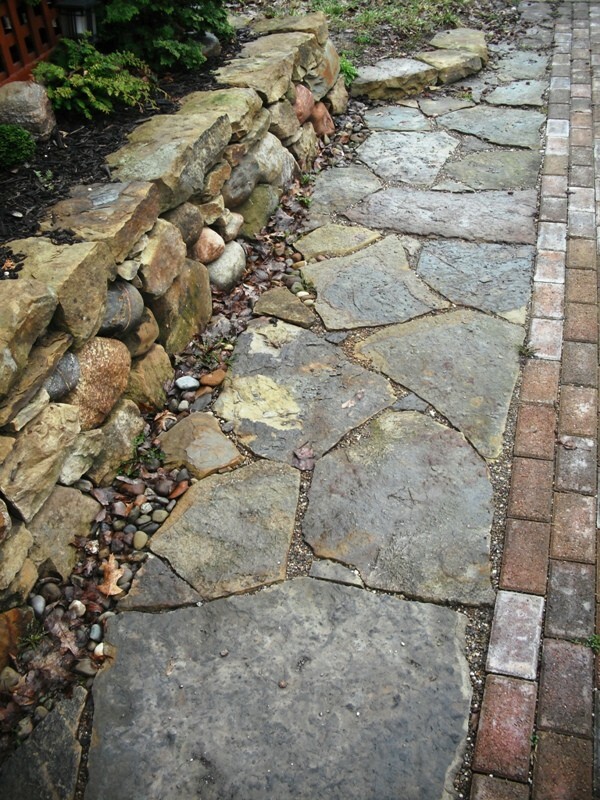 Stones are laid together such that gravity and friction do the work of keeping the structure together. 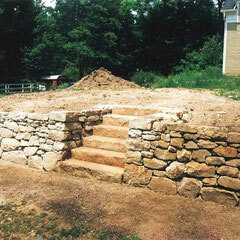 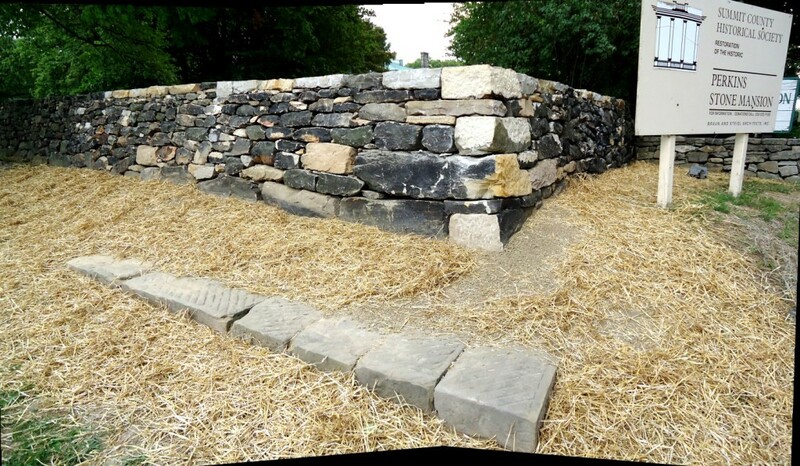 Above all, dry stone masonry is a very practical type of construction; structures built in this manner are flexible, durable, easily-maintained and fully recyclable. 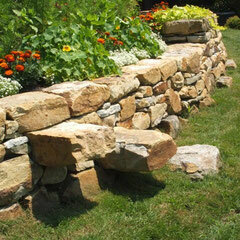 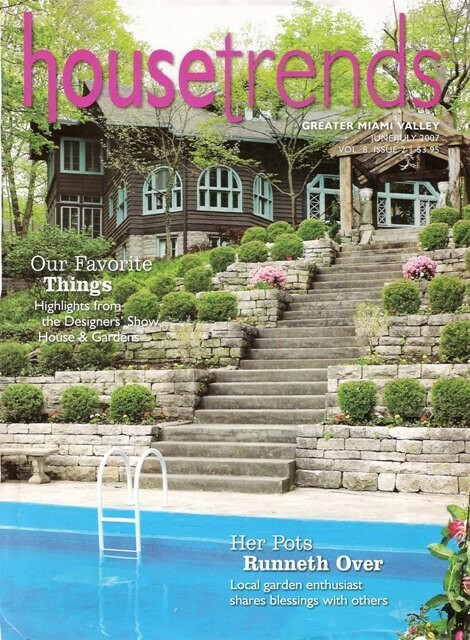 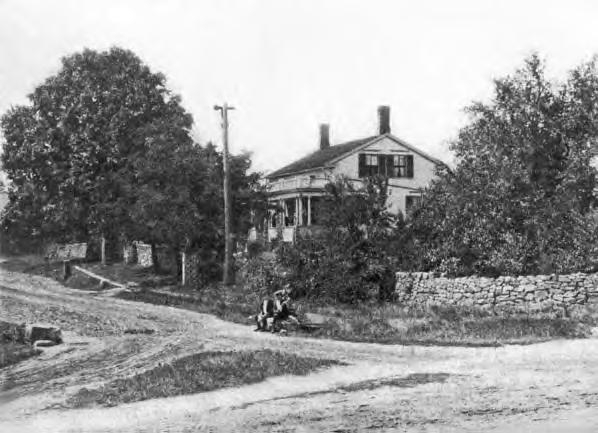 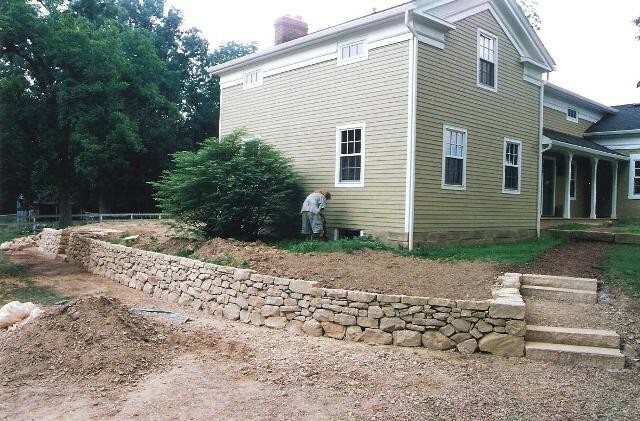 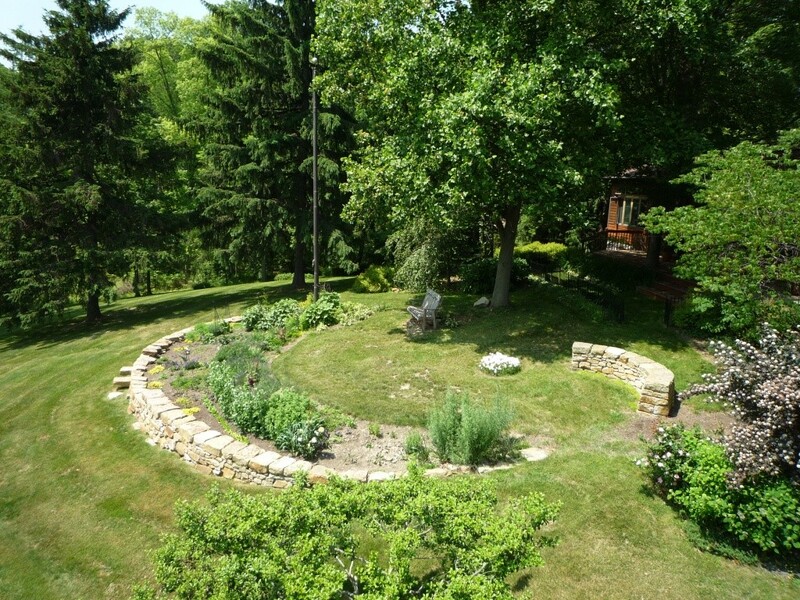 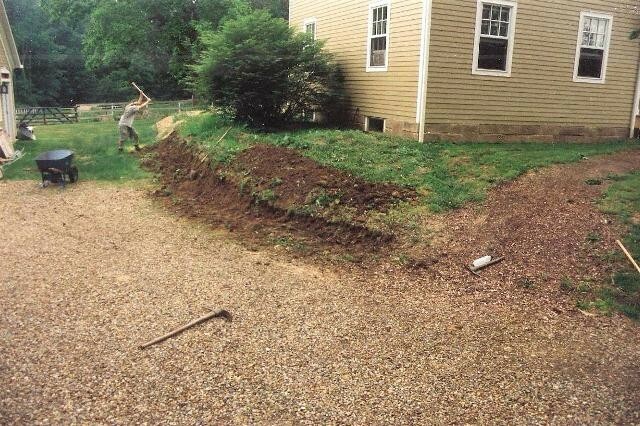 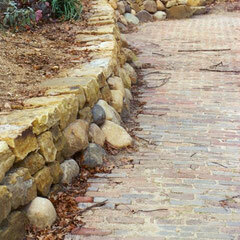 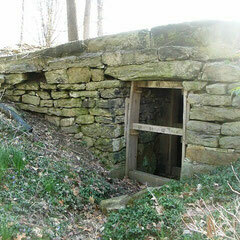 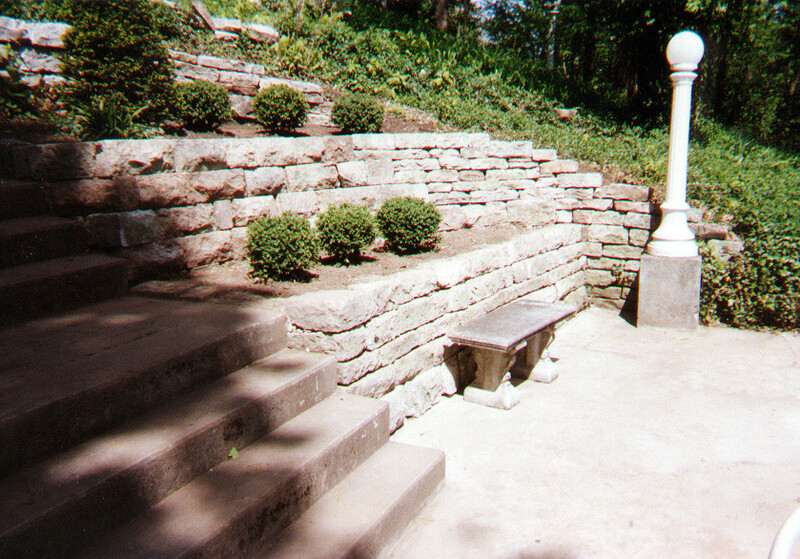 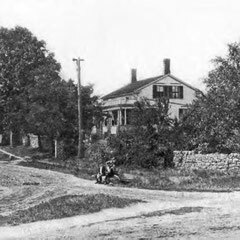 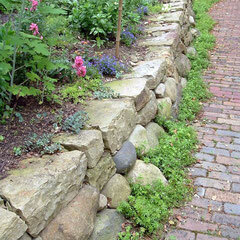 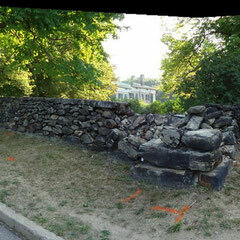 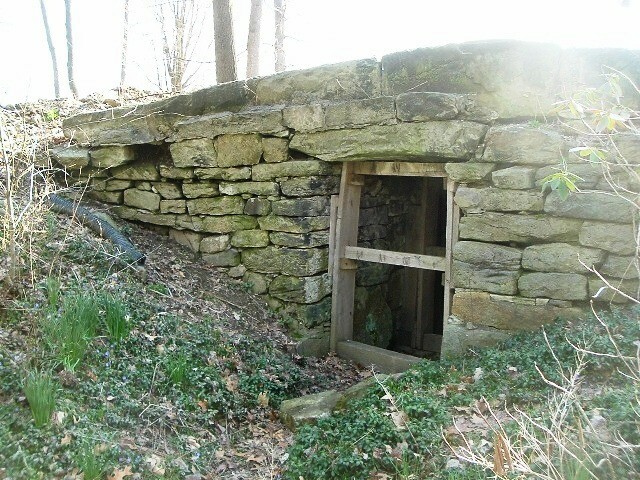 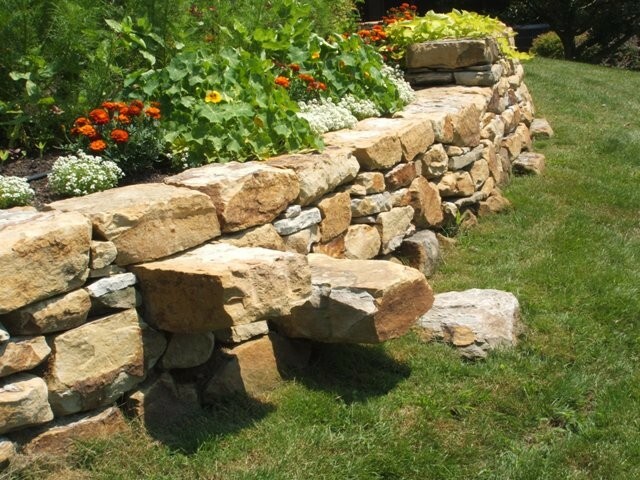 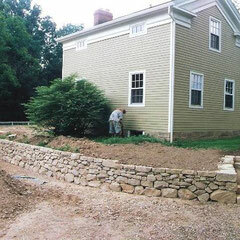 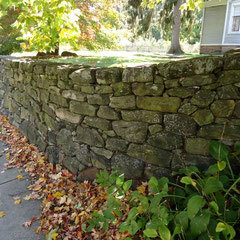 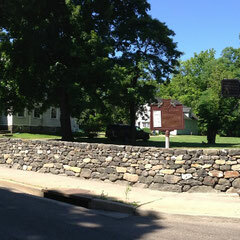 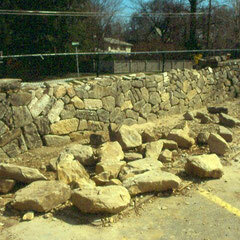 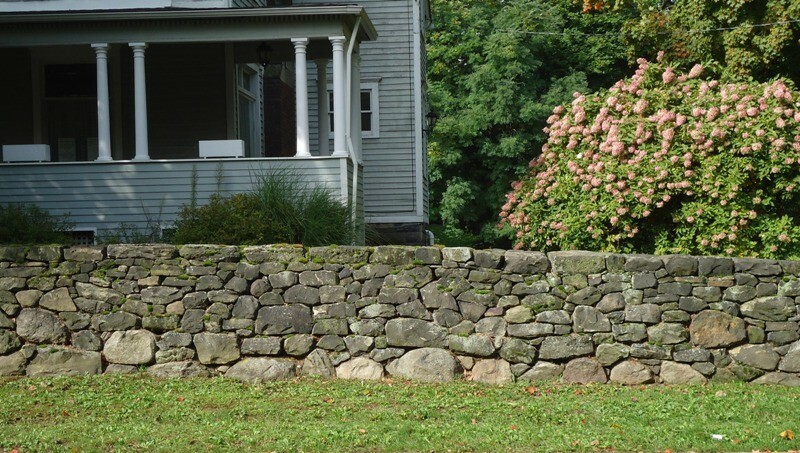 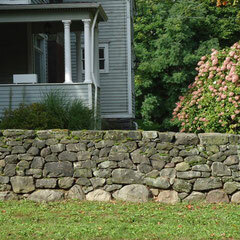 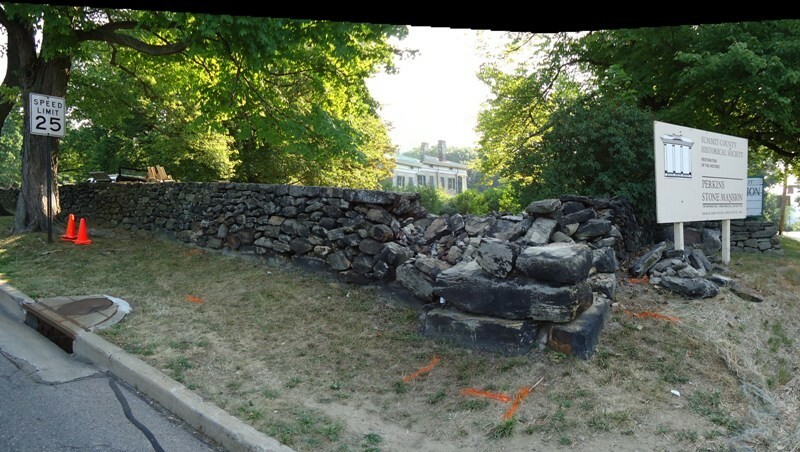 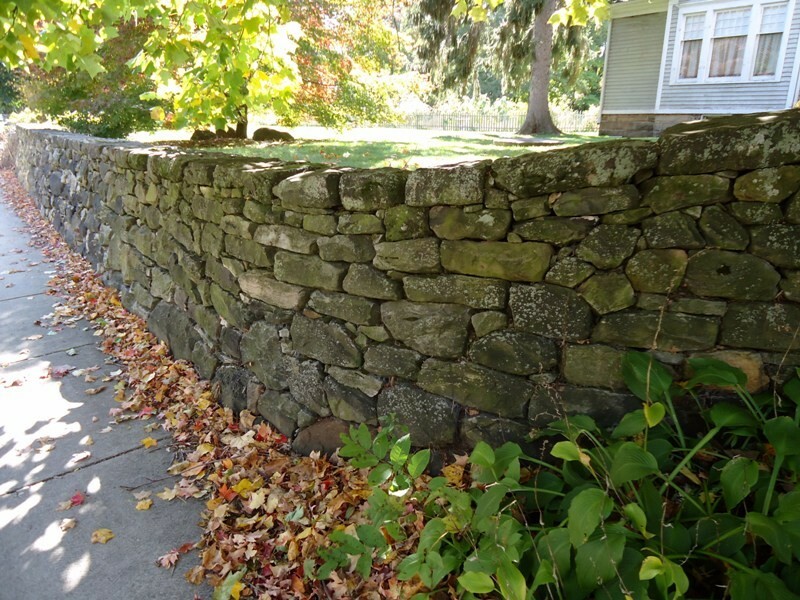 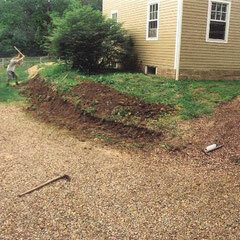 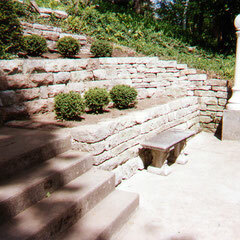 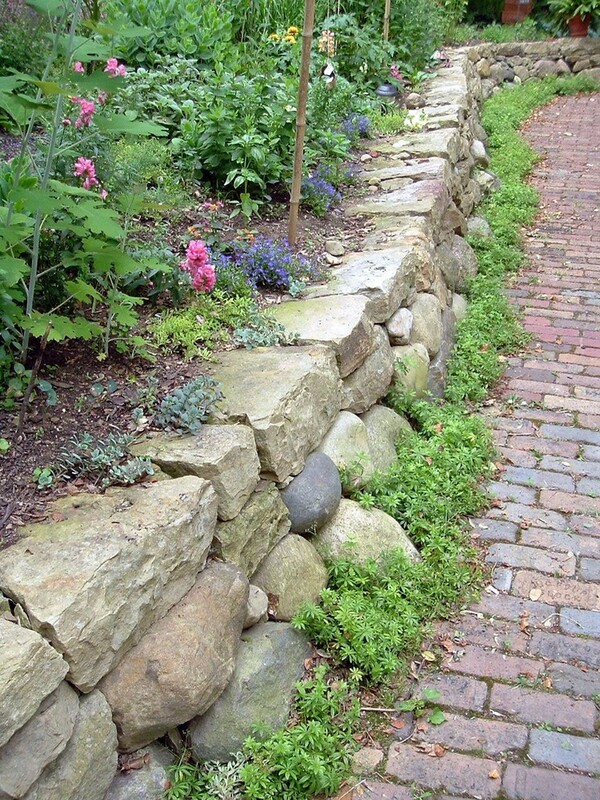 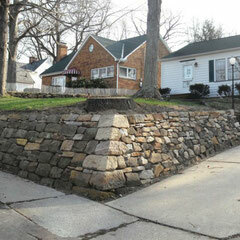 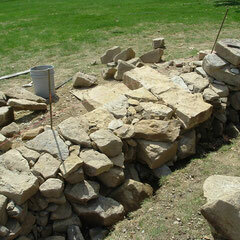 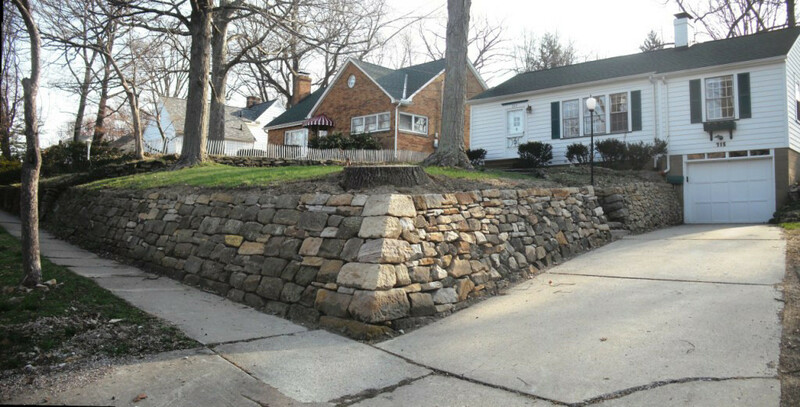 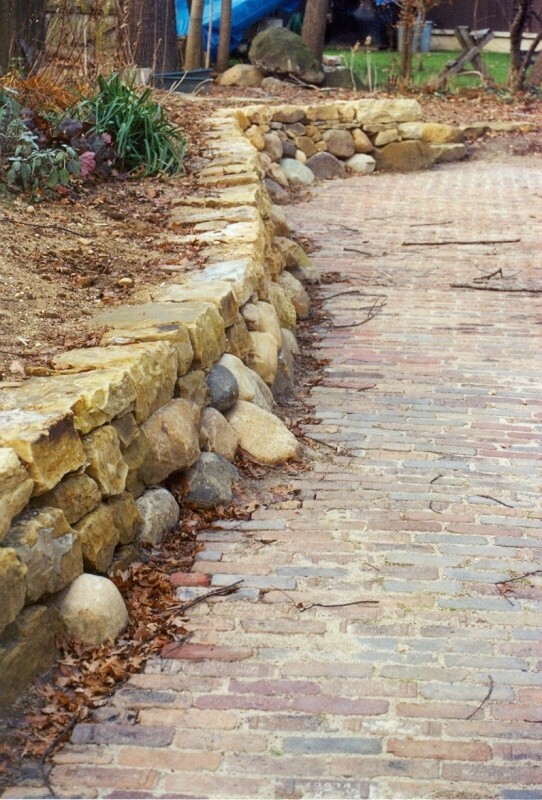 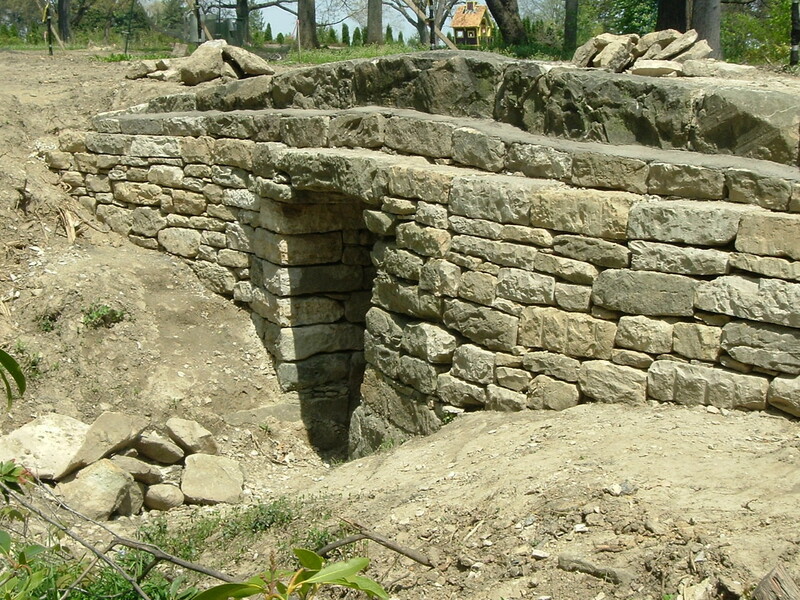 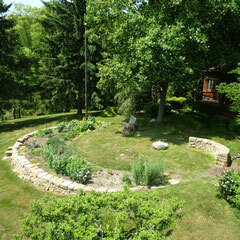 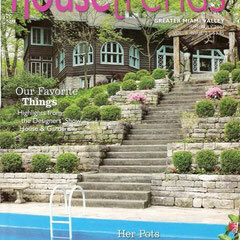 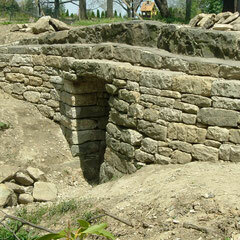 Well-built and well-maintained stone walls have been known to last hundreds of years. 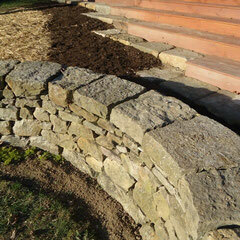 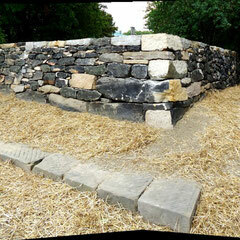 The stone that we use for our walling projects is, as was often the case in the past, commonly sourced locally. 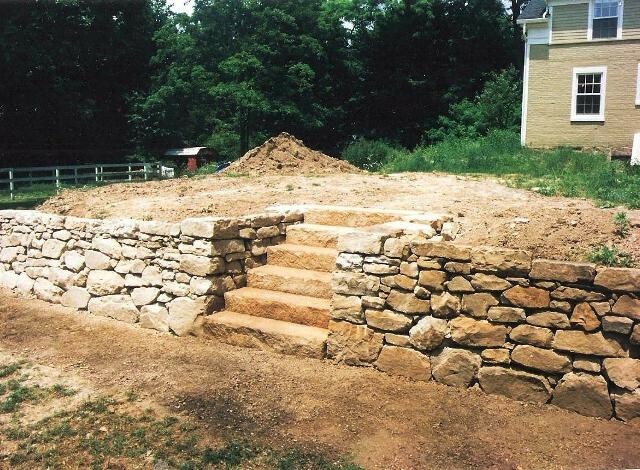 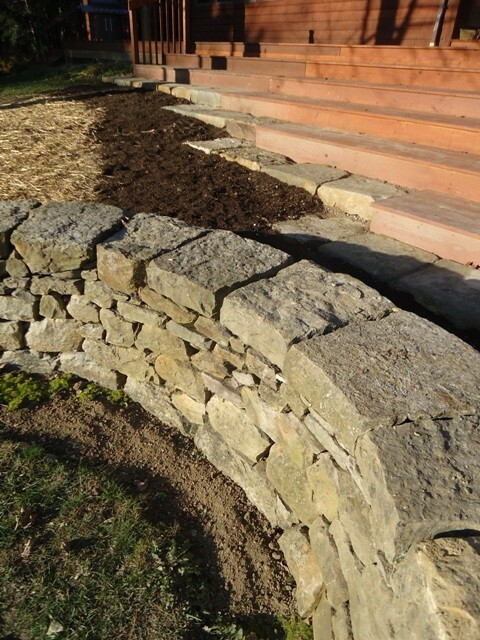 Our drystone work encompasses both historic restorations and new construction, the latter of which are commonly garden and landscape applications.